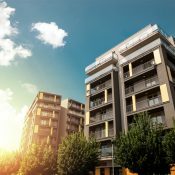 Rent growth in Class A apartments has rebounded from cycle lows, and now that luxury segment no longer lags for rent growth. Rents for Class A apartments rose 3.2% in 2018, the largest annual increase in that segment since mid-2016. Class A rent growth outpaced that of Class C units (2.9%) at year-end 2018 for the first time since 2015. The middle-market Class B units still led, with 2018 rent growth of 3.5%. Traditionally, the high-end Class A product line has outperformed both of the less expensive asset classes when it came to annual rent growth. At the end of 2012, however, consistently heavy supply additions took a toll on these units, and the performance gap started to close. 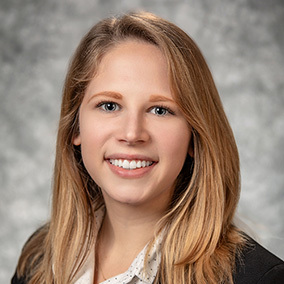 In early 2016, rent growth in the Class A stock fell below the increases in the nation’s Class B and C counterparts, and remained there until recently, when the expensive product line managed to pull itself out of the bottom rank. 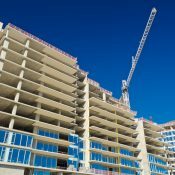 Recent Class A improvement is partly due to a temporary lull in completions towards of the end of 2018. 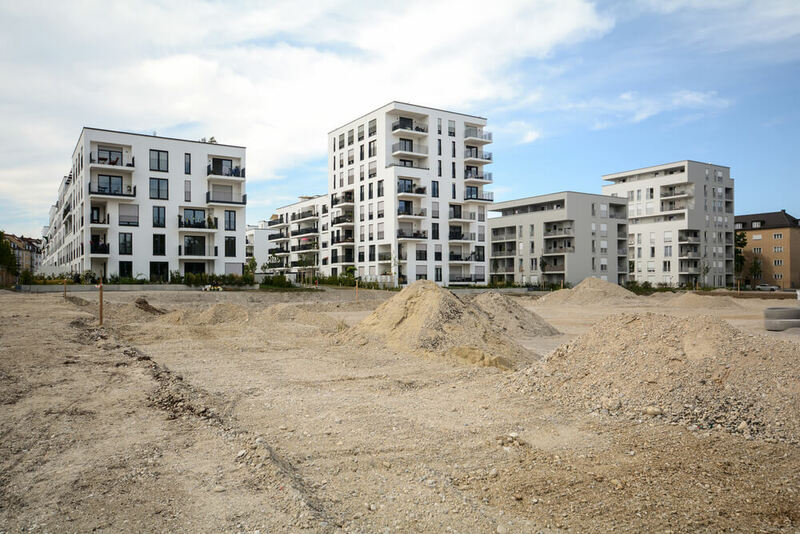 Annual completion volumes fell below 288,000 units in 2018, the lowest level since mid-2016. By comparison, annual completions got as high as 319,000 units in 3rd quarter 2017, and a similar number is expected in 2019. With Class A units recovering quickly in the second half of 2018, the rent growth spread between all classes has narrowed. 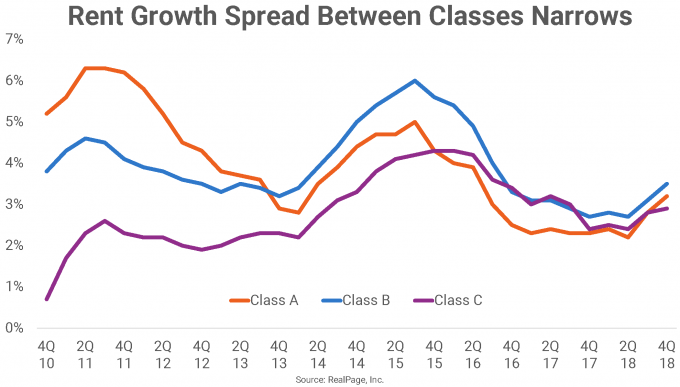 At the end of 2018, the difference between the highest-performing segment (Class B units) and the lowest performing (Class C) was 60 basis points (bps), continuing a 2-year-old trend of spreads within 100 bps. Earlier in the current economic cycle, the delta between the fastest-growing asset class (historically Class A) and the slowest growing (historically Class C) has been as much as 450 bps. 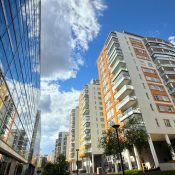 RealPage identified a handful of markets which are seeing elevated development volumes and which exemplify trends of either higher-than-average rent growth or significant year-over-year improvement in the Class A segment in 2018. In six of these eight markets, annual completion volumes have come down from year-ago numbers. Given lower volume, high-end apartments had less competition from new units and therefore more flexibility to raise rents. Additionally, each of the eight markets saw an increase in Class A occupancy in 2018. Looking forward, all of these markets will see similar or higher new supply volumes in 2019. Class A rent growth in Charlotte is not only impressive given how high it is – 5.4% in 2018 – but also because of how much it improved year-over-year. In 4th quarter 2017, Charlotte’s Class A stock was seeing -0.1% annual rent change, due largely to a 2.1% drop in the high-development Uptown/South End. In 2018, high-end apartments in that downtown area recorded a rent hike of 5.8% as new completion volumes dropped nearly 30%. While submarket delivery volumes have fluctuated over time, supply at the market level has stayed relatively consistent since mid-2016, hovering between 8,900 units and 7,500 units annually. Maintaining near-exact levels from 2018, about 7,500 new units are scheduled to come online in 2019. San Francisco’s Class A rent performance patterns look more like a heartrate monitor than an apartment tracking tool. 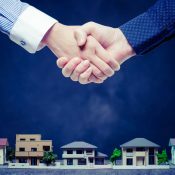 Operators of Class A product in this notoriously volatile market struggled to raise rents throughout the second half of 2016 and the first half of 2017. Those struggles were especially pronounced in the high-supply areas of Downtown San Francisco and SoMa, which claimed more than two-thirds of the market’s total new supply during that period. Such a concentrated delivery pattern triggered rent cuts of up to 5% in Class A product in those submarkets in 2016. In 2018, completions in those submarkets came in 30% below the peak in 2016, and Class A rent growth jumped to 4.3%. This improvement made room for Class A rents in the market overall to push ahead 4.6% annually – a 430-bps improvement from 2017. That momentum is likely to slow in the year ahead, however, as 4,000-plus units are on tap to deliver in San Francisco in 2019. That’s an 80% increase over 2018’s delivery volume, and SoMa should receive the bulk. 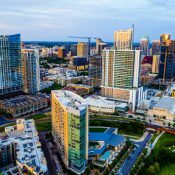 Austin became the comeback king in 2018, with rent growth climbing 490 bps year-over-year to stand at a 4.2% at the end of December. The strongest performance was seen in Class A product, which saw rents climb 5.8% year-over-year. One cause of this could be a drop-off in new supply. About 1,200 fewer units completed in 2018 than in 2017. In 2019, about 8,800 new units are expected, but even that high number is a far cry from recent highs of 10,500-plus new units. Completions in Austin have been remarkably spread out this cycle. But some areas have seen short-term supply waves. One of those areas is the Downtown/University submarket. A recent slowdown in supply there correlates with a steep increase in Class A rents. This core submarket, which was growing its inventory by as much as 6.8% annually in early 2017, has seen a very little supply in 2018. In turn, Class A rents in that area are growing 7.7% annually after falling as much as 4% in 2016. A classic late-recovery market, Phoenix’s job growth has finally hit its stride this economic cycle to reach a 12-year high. With that job growth comes apartment demand that’s grown head and shoulders above the 3,000 units it was absorbing in 2013. In 2018, Phoenix absorbed nearly 11,000 units, marking the fifth straight quarter in which demand outpaced supply of 8,200 units. That 2018 completion total was almost 40% higher than the 2017 total. But demand was up nearly 80%. With that ratio, Class A occupancy strengthened to 94.8% from a year-ago figure of 93.9%. Considering most of those new units are Class A, it’s no surprise rents in that asset class are growing 7.5% annually – and above 10% in the North Central Phoenix, East Phoenix, Far West Phoenix, South Tempe, Northwest and Southwest Mesa and North Glendale submarkets. New supply will continue to creep up throughout 2019. Washington, DC’s Class A annual rent growth of 2.4% might look minor compared to the likes of Phoenix and Charlotte, but the key here is improvement. Through most of 2017, Class A rent change in the nation’s capital was negative. In 2017, Class A rents fell 0.3%. Most of 2018’s increase was realized late in the year, as completions fell off considerably in the last quarter. About 11,000 units delivered in the market in calendar 2018, a more than 2,100-unit decrease from the 2017 figure. The pipeline is expected to empty slightly in 1st quarter 2019 before filling again. In 2019, DC is set to receive about 14,500 units, a potential headwind to Class A momentum. Job growth here is another potential headwind. Gains were tempered at the end of 2018 as so many federal workers were impacted by the partial government shutdown. Let’s start with one astonishing fact: Atlanta decreased its year-over-year deliveries by 4,800 units in 2018. At the same time, absorption increased 500 units from 2017’s total. With these dynamics, Class A rent growth in Atlanta jumped to 3.2% in 2018 from 0.8% in 2017. Downtown Atlanta, which was cutting Class A rents by 0.6% on an annual basis as recently as 2nd quarter 2018, was seeing 6.1% rent growth by year-end. Meanwhile, Atlanta saw its highest job growth since mid-2017 as it added nearly 70,000 jobs in 2018. The Professional and Business Services sector added an impressive 21,000 jobs in 2018, compared to only 400 the previous year. That sector now makes up more than 18% of the Atlanta economy and provides solid support to the more expensive luxury product line. Raleigh/Durham is a high-development market that has seen its apartment stock grow about 27% since 2010. Apartment performance is closely tied to supply volumes, and deliveries fell 9% in 2018. Luxury apartment operators took advantage of the dip, raising rents 3.7% year-over-year. That increase was well above the 1.5% realized in 2017. The largest upside swing was seen in Near North Raleigh, where delivery volumes in 2018 came in 60% below 2017’s total. In turn, Class A rents jumped 11.3%, compared to a 2.9% cut in 2017. Much like Washington, DC, Chicago’s Class A rent growth may look unimpressive at 2.6% annually, but improvement is key. As recently as 2nd quarter 2018, Class A rents were contracting 0.8%, but made a swift comeback over the next two quarters. Chicago’s urban core serves as a microcosm for that broader trend: The Loop, Streeterville/River North and Lincoln Park/Lakeview saw flat or near-flat rent change among Class A units this time last year, but sit at 3.8%, 0.9% and 4.8% growth, respectively, at year-end 2018. Supply volumes across the three downtown-area submarkets last year were consistent with 2017’s totals. The biggest difference was occupancy. 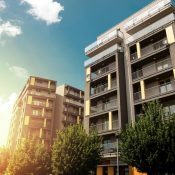 Class A apartments in the three submarkets were 94.1% full at year-end 2018, up from 93.0% at year-end 2017.